I will provide you,Real Music promotion15K plays 15 likes-favorits+ 10 repost+ 5 comments only for $1. All are real and Active profile Based. All account real names with pictures, comments must be related to the track and 100% Non-Drop plays. So get the Best And reliable Service from me, my service is professional and 100% safe. So please place an order and enjoy best service!!! 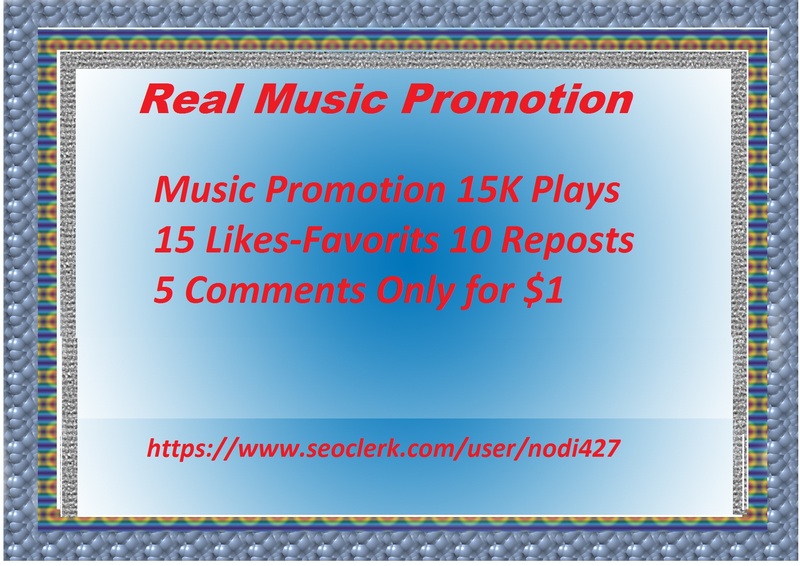 Music Promotion 15 K play 15 likes 10 reposts 5 comments is ranked 5 out of 5. Based on 48 user reviews.